Home » Review » Movie » Mavis! A spirited tribute to a legendary singer so full of love she can't hold it in. Unlike most of the music documentaries that have become so popular over the past few years, Mavis! is about a legendary songstress who still walks the earth and is as relevant now as she ever has been. And that’s saying something: Mavis Staples has been recording music and performing to raucous crowds for upwards of 60 years, first with her family in the Chicago-based gospel group Staple Singers in the ’60s and ’70s, and then on her own with a solo career that’s still building momentum today (she won a Grammy for her 2010 album You Are Not Alone, and her 2013 album One True Vine debuted on the Billboard 200 chart at #67, the highest debut of her career). The film earns the exclamation point in its title by matching the spirited energy of Staples, celebrating to the high heavens that we’ve been so blessed as to have her share her gift with the rest of us. Her voice makes the earth rumble and makes the soul shake. She’s is pure magic, whether she’s singing the gospel songs from her early days, the activist anthems she belted in the ’70s, the folk music she learned from Bob Dylan himself, her eclectic Prince collaborations, or the heartfelt soul ballads off of her most recent albums. The film’s enthusiasm for Staples and her music never feels overembellished because, frankly, the lady deserves more praise than any one film could muster. Seeing Staples perform onstage is pure, blissful insanity. Her audiences erupt in a state of near hysteria as her voice crackles and explodes with energy, and as her bandmates explain, she never wants to stop singing. “When she starts going and people start yelling from the audience,” one of her background singers explains, “she will sing all night!” Edwards shows a sizable amount of amazing live concert footage, which is really the only one could ever paint the full picture of Staples as an artist. 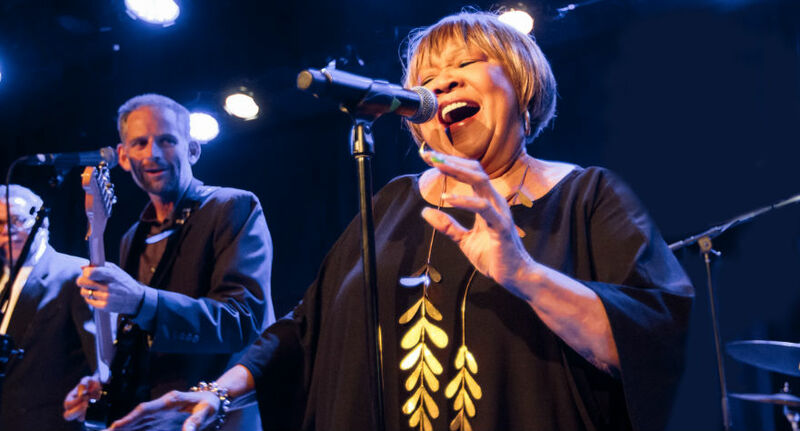 Jumping at the chance to gush about their hero Mavis Staples on camera are a gaggle of music greats, including Bonnie Raitt, Wilco frontman Jeff Tweedy, Steve Cropper and the late Levon Helm, who’s seen sharing an uplifting jam session with Staples before his death in 2012. Bob Dylan and Prince also have strong presences in the film due to their influence on Staples’ sound (she also throws in quickly that she had an opportunity to “smooch” Mr. Dylan, who apparently had eyes for her for years). Watching Staples recall the ups and downs of her life and career is to watch a woman fall in love with her memories. Two things are crystal clear: Staples has more love in her than she can contain (she releases it by singing it out to the world and swinging her arms around in the air) and she loves no one more than her father. Before he died, the Staple Singers reunited after a long recording hiatus to create an album centered on him. It wasn’t released as planned, but Staples handed over the songs to Tweedy, the producer of her two latest albums. In an invaluable piece of footage, Tweedy plays her a remastered version of one of Pops’ tracks, reducing her to tears. She and Tweedy share a tight embrace, a small but enormously emotional moment that cements Mavis! as something very, very special. 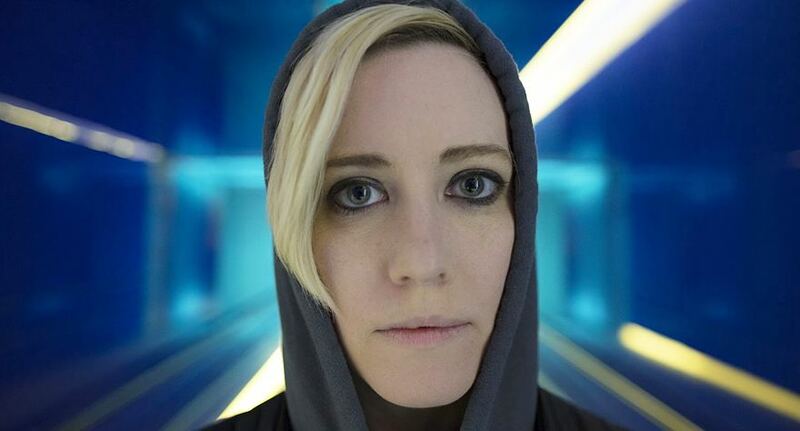 A stylish, moody atmosphere indie sci-fi that plays out like a series of music videos and lacks a cohesive story.